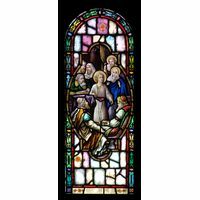 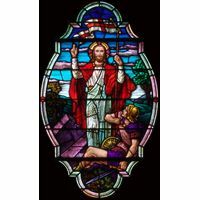 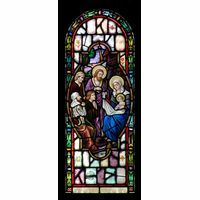 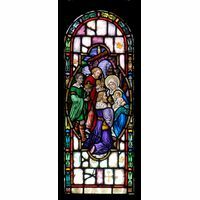 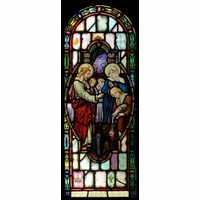 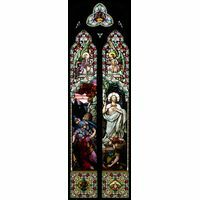 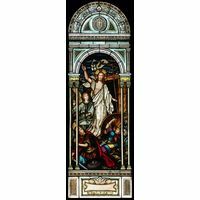 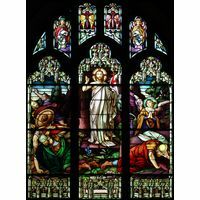 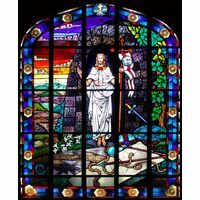 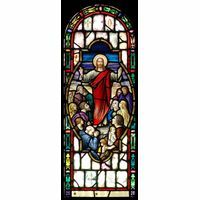 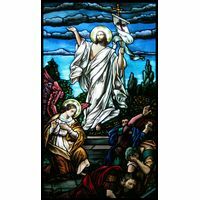 This beautiful work of stained glass art depicts the meeting between Jesus and Mary Magdalene after Christ's resurrection. 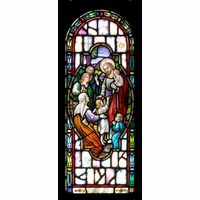 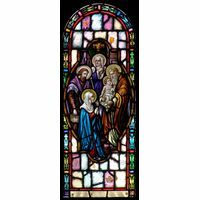 It is a touching reminder of Jesus' words and promises that he was the Son of God and illustrates the power of faith that Mary had in the Messiah. 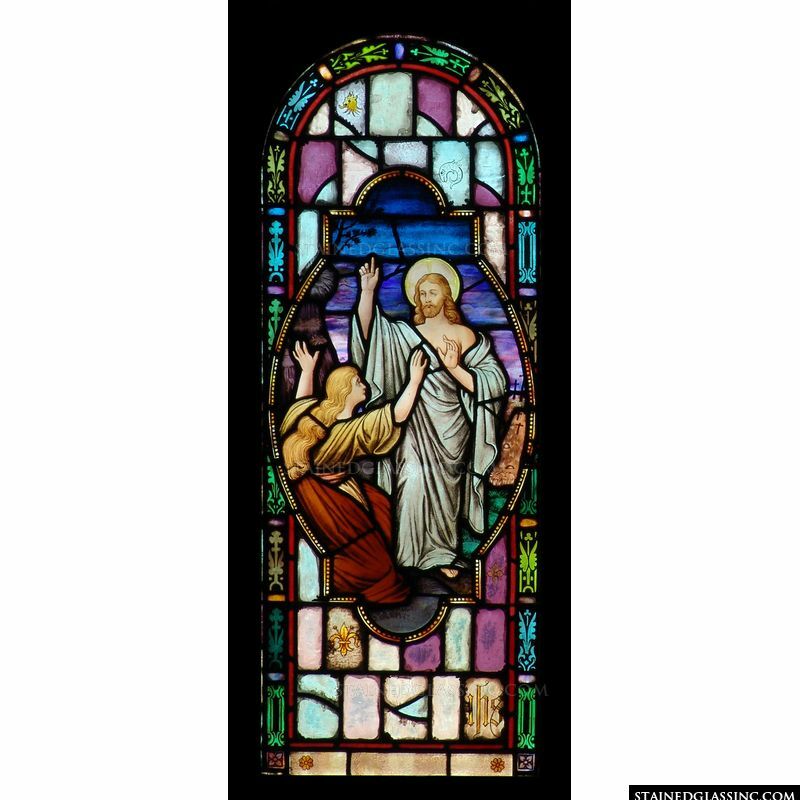 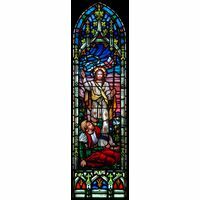 This colorful representation of this moment can serve as a beautiful focal point in a chapel, prayer room, or church.